Registered nurse schools in Ohio present a cutting edge educational program which prepares candidates to cater the needs of patients and ever changing healthcare sector. It provides interactive learning environment that develops professional attitude and nursing values among applicants. The qualified nurses work in a variety of settings which include ambulatory care, physician’s clinics, operating rooms and intensive care unit. If you wish to contribute your services to the society and want to improve the health care outcomes, explore various RN program programs in Ohio. These are the basic requirements one needs to fulfill before starting an RN course. The minimum age expectation is eighteen years or above. The candidate’s Cumulative Grade Point must be equal to or more than 2.5. The applicant must achieve minimum grade “C” in all the pre-requisite courses. Criminal background check is obligatory for admission in an RN school. The applicant ought to successfully complete the standardized admission examination i.e. TEAS. One should submit the complete resident verification form. You are also supposed to provide a legal photo ID. It is imperative for every candidate to submit a valid CPR certification. The aspirant is expected to submit level one fingerprint clearance card to the Federal Bureau of Investigations (FBI) and the Bureau of Criminal Identification and Investigation (BCII). It is necessary for all the registered nurse aspirants to clear the drug test. Nursing demands dedicated determined and hard working professionals who can cater people in their sufferings in order to maintain optimal health and safety. Nurses use advance technology for speedy recovery of their patients. Hence, they need intensive program, so that, they could face the challenges of the health care field. The following programs are offered to train RN aspirants. Associate Degree in Nursing: ADN is a two-year program which involves a full-fledged coursework that develops decision-making, critical thinking, care management and delegation skills, in order to work in the intermediate, acute, chronic and community areas. It prepares students to provide direct care to the patients. Bachelor of Science in Nursing: It’s a professional course that requires four years of scrupulous study. A graduate from this program builds a strong foundation in clinical skills and sound theoretical knowledge base for advance courses. Diploma Course: It is a two to three year program and is less popular than the above two programs. Direct Entry MSN Program: Even though you are not from the nursing background but aspire to become a registered nurse, you can do it by enrolling in direct entry MSN program. Accelerated BSN Degree: This pathway is designed for those candidates who hold a baccalaureate degree in some other discipline, and are interested in pursuing a nursing degree. It is a 12 to 15 month program that needs demonstration of strong interaction skills, interpersonal skills and critical thinking. LPN to RN: If you are an LPN nurse and keen to learn higher level education, then LPN to RN track is a perfect pathway to accomplish your desire. For pursuing this course, you need at least one year experience as a licensed practical nurse. The coursework completes in approximately 12-15 months. RN to BSN Program: These programs equip RNs with the education needed to obtain a bachelor degree in nursing.The duration of this program is 12 months, and it integrates the most current knowledge from the liberal arts, humanities, and sciences in order to keep pace with changes. 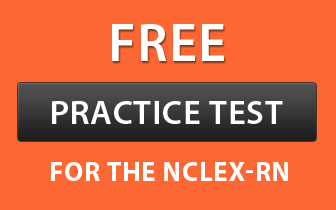 Candidates, who have completed any of the above mentioned programs, are eligible to appear for the computer-based NCLEX-RN exam. Master of Science in Nursing: MSN degree equips nurses with advanced skills and competency in order to prepare them for leadership and management roles. This program involves an eclectic curriculum that combines classroom and clinical components with a strong emphasis on patient-centered program. Doctor of Nursing Practices (DNP): This program focuses on practical aspect instead of academic research. The main objective of DNP coursework is to provide excellent care and services to patients by optimizing health care services. Aspirants learn to integrate the social, biological, spiritual, cultural and psychological factors that influence the human health and their illness.